If you find yourself stuck with those cheap plastic Easter eggs now that the Easter Bunny has gone hopping down the trail, you have a couple of options. 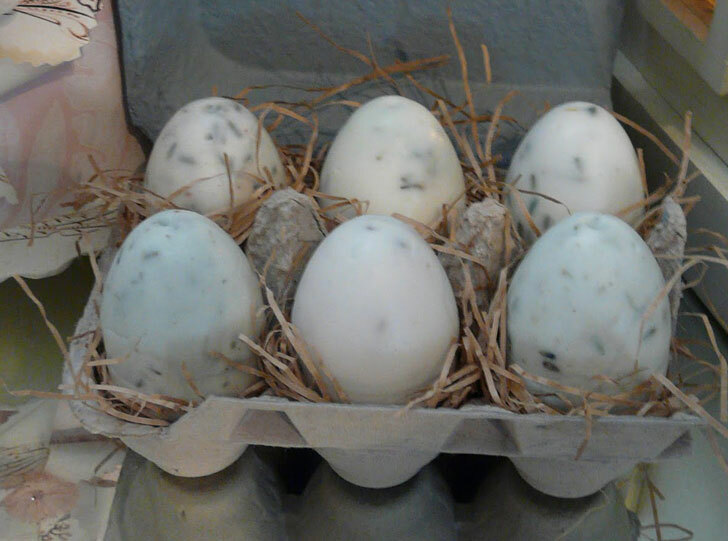 It turns out that plastic Easter eggs are recyclable in some areas. You may want to check with your city's waste management department before tossing them into the bin, since recycling rules can vary from town to town. The trouble with recycling plastic is that it's not a net zero situation. When plastic gets recycled, you end up with lower quality plastic than you started with. It's called downcycling, and it happens every time plastic heads to the recycle center. Eventually, that plastic is too low-quality to recycle, so it ends up in the landfill. Of course, recycling your plastic is better than not recycling your plastic, but reusing those plastic Easter eggs is even better! Instead of downcycling, you're upcycling by turning a single-use plastic item into something you'll use over and over again. 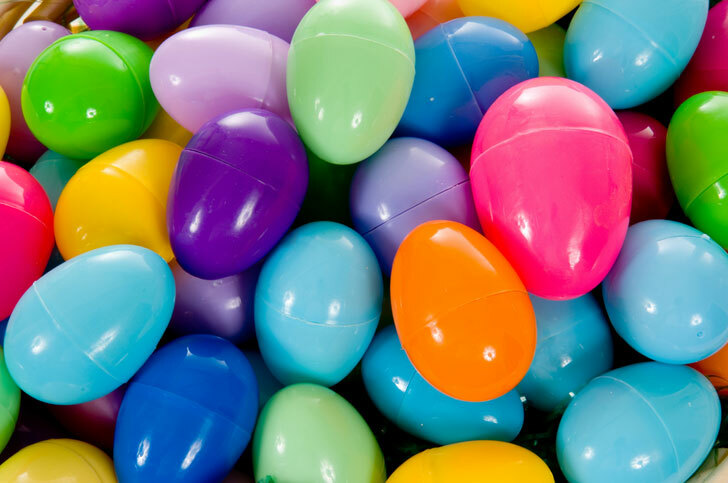 Read on for 7 ways to reuse your plastic eggs after Easter -- and note, you can always tuck them away to be used year after year for egg hunts and basket fillers. Use those plastic eggs as soap molds! Over at My Repurposed Life, you can learn how to melt and pour soap into plastic Easter eggs to make your own egg-shaped soap. The tutorial even includes a free printable label, so you can make a big batch of soap to give as gifts. How fun! 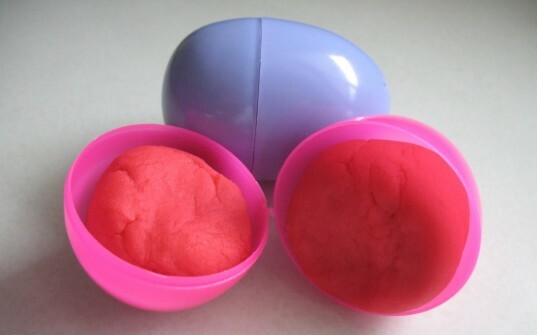 Cathy Olds uses old Easter eggs to store her homemade scented playdough. What a great candy alternative for the Easter basket! On top of sharing the scented playdoug recipe, she shares an elaborate crafty Easter party plan that sounds super fun! I’ve never seen the clear plastic Easter eggs in this tutorial from The House That Lars Built, have you? If you do end up with clear Easter eggs, these tiny terrariums are such a clever way to reuse them! You can make these yourself as a fun parent project or get your older kids in on the action and let them design their own miniature terrariums. The bottom half of a plastic Easter egg is the perfect shape for holding a votive candle, but the rounded bottom doesn’t make it the safest receptacle for an open flame. Over at Taylor Made, she shows you how to make what she called a “Tealight Flight.” Seriously, I would never have guessed that this professional-looking decor piece was made from what most people would consider trash! This is another great example of how to reuse plastic Easter eggs as the base for craft a project. In this tutorial, Vivienne Wagner from The V Spot adds color and texture to old plastic Easter eggs to make them look like robin’s eggs, and she has a few great photos with examples of how you can use them in your home decor. Succulents are the perfect house plant for plant-killers like me, so I’m especially drawn to this awesome project for reusing plastic Easter eggs! Brittni at Paper & Stitch uses faceted plastic Easter eggs to create pretty little succulent planters. You can still do this project even if you can’t find faceted eggs. Just follow the instructions for the tealight holders (#4 on this list) to stabilize the bottoms of your eggs, so your plants won’t fall out. 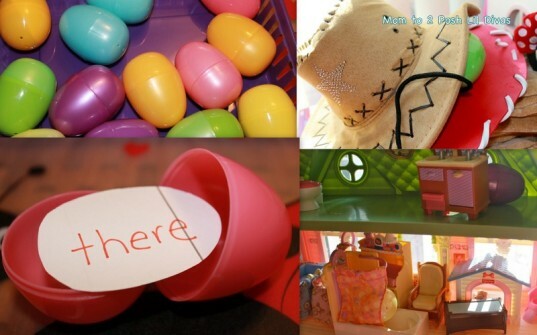 Turn those single-use plastic Easter eggs into a toy that your kids will use again and again. There are five ideas for turning your old Easter eggs into educational toys over at Mom to 2 Posh Lil Divas. Bern created these projects for her preschool-aged and elementary school-aged girls, so there are options that would work well for a nice broad age range. I've never seen the clear plastic Easter eggs in this tutorial from The House That Lars Built, have you? 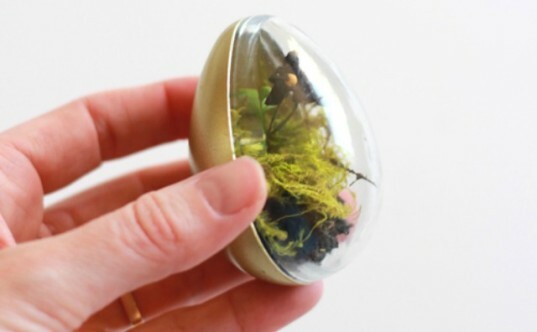 If you do end up with clear Easter eggs, these tiny terrariums are such a clever way to reuse them! 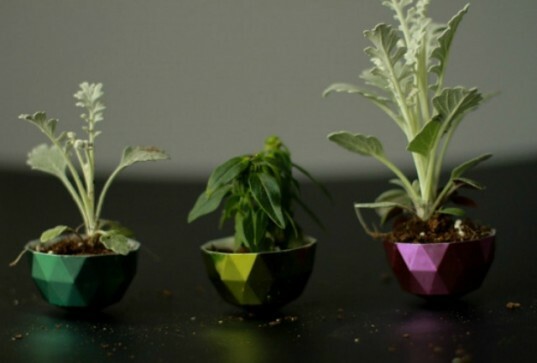 You can make these yourself as a fun parent project or get your older kids in on the action and let them design their own miniature terrariums. The bottom half of a plastic Easter egg is the perfect shape for holding a votive candle, but the rounded bottom doesn't make it the safest receptacle for an open flame. 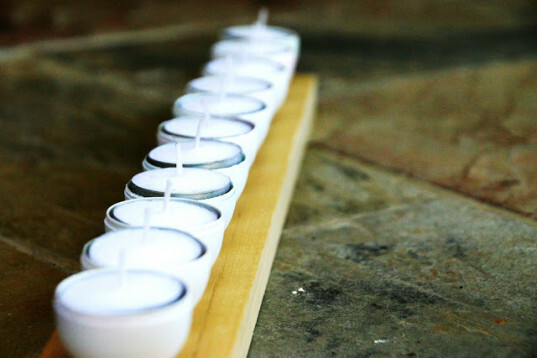 Over at Taylor Made, she shows you how to make what she called a "Tealight Flight." Seriously, I would never have guessed that this professional-looking decor piece was made from what most people would consider trash! This is another great example of how to reuse plastic Easter eggs as the base for craft a project. 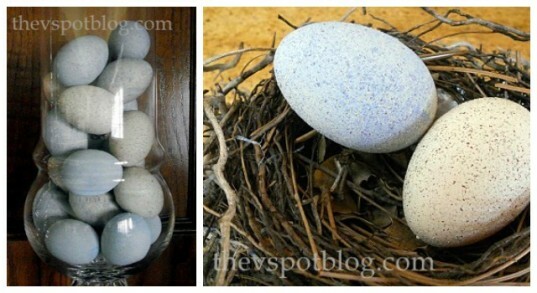 In this tutorial, Vivienne Wagner from The V Spot adds color and texture to old plastic Easter eggs to make them look like robin's eggs, and she has a few great photos with examples of how you can use them in your home decor. Succulents are the perfect house plant for plant-killers like me, so I'm especially drawn to this awesome project for reusing plastic Easter eggs! Brittni at Paper & Stitch uses faceted plastic Easter eggs to create pretty little succulent planters. You can still do this project even if you can't find faceted eggs. Just follow the instructions for the tealight holders (#4 on this list) to stabilize the bottoms of your eggs, so your plants won't fall out.